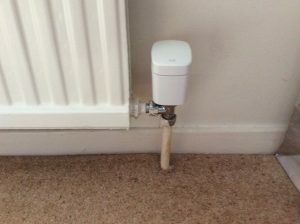 In my previous post I described replacing conventional thermostatic radiator valves (TRVs) with smart valves (sometimes called eTRVs). 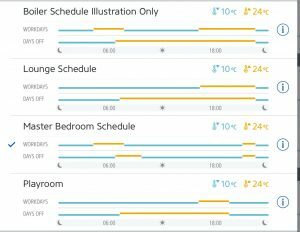 The smart valves include both temperature set points and a schedule which allows me to operate shorter on times in rooms not used so much – such as the playroom heating turning off after my daughter’s bedtime. My latest update is to link the valves to the boiler so that heat demand from a smart valve fires up the boiler, regardless of the settings of the older central timer and hall thermostat. That would mean, for example, that if my wife want to watch a late film then commanding heat in the lounge would restart the boiler even if outside normal heating hours. 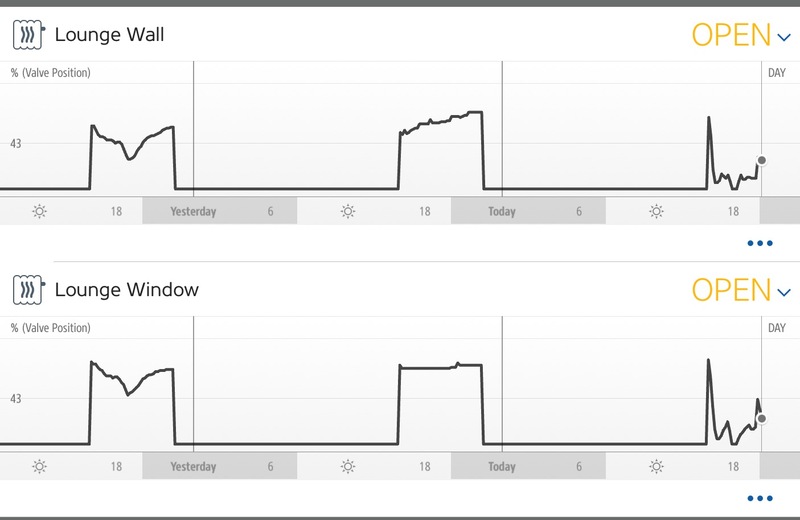 The effect of this change can be seen in the attached image which shows three days of valve position information for the two radiators in the lounge: two days where the boiler was enabled by the conventional timer and central thermostat, and the third day with smart boiler control. For the first two days you can see the valve open wide for an extended period during some of which time the boiler won’t be pumping hot water as the hall is up to temperature. However on the third day, with the link to the boiler, the valve closes very quickly from its initial position and then modulates to maintain the temperature since the boiler is running all the time when any valve is open. If any valve moves off closed (triggers) then enable boiler. If any valve moves to closed (triggers), and all valves are closed (conditions), then disable boiler. The picture shows the actual mechanism to turn the boiler on or off via the Elgato Eve Energy (which is a switchable mains outlet and energy meter) in the right side socket outlet. 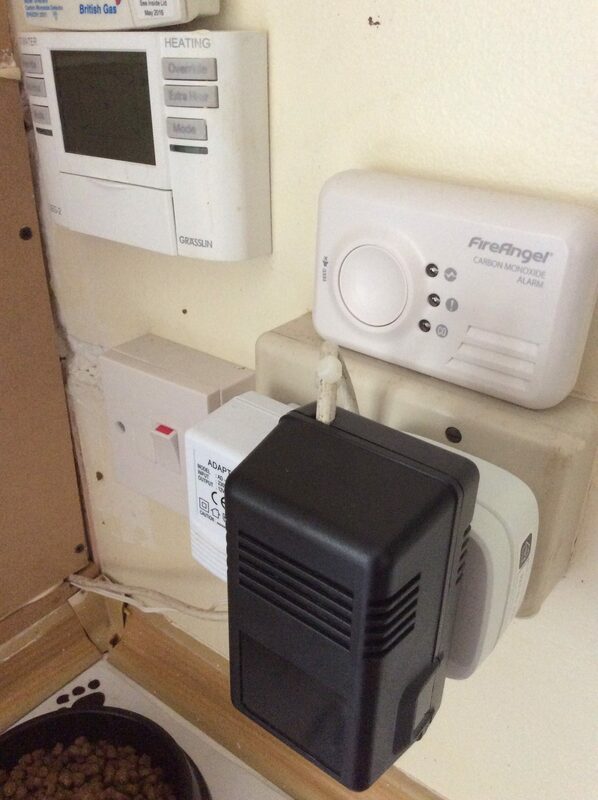 I use the Eve Energy to operate a mains relay (in the black box) which in turn closes a contact between two terminals of the heating wiring box, which bypasses the heating timer and hall thermostat, sending a mains control signal to the dual port valve for the heating thus opening the valve thereby enabling the boiler through the existing controls. 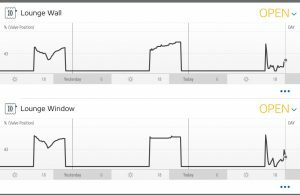 Room temperature was reported as overshooting in some rooms, but not in one room with a newly installed valve. It may thus be that the older valves have self-tuned their controls and need to re-tune to the new more dynamic system characteristics. I needed to manually turn down the radiator in the hall which was getting too hot. If that persists then I may need to add a TRV or smart valve to the hall. 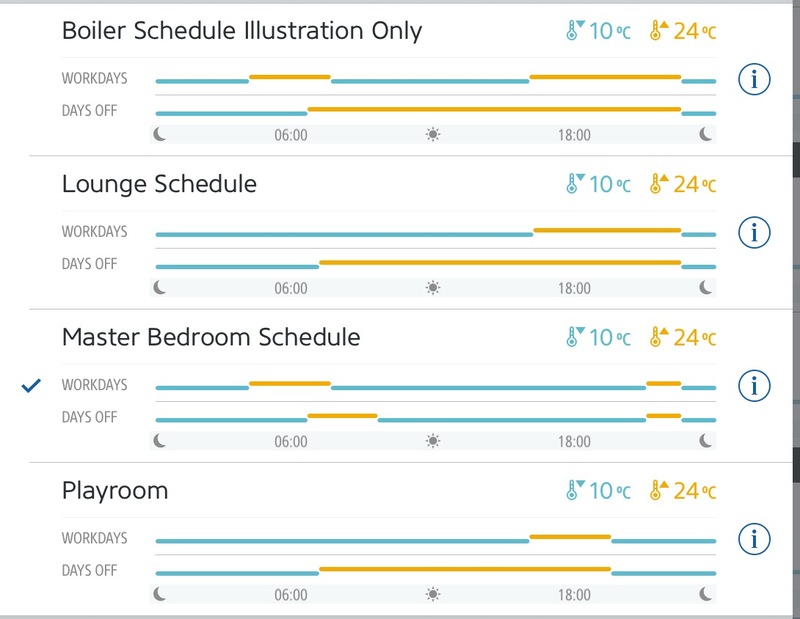 This entry was posted in Smart Home on 18/05/2017 by Greening Me.